In Eco the OCL parser uses exceptions to abort operations that fails. Since the different levels in the parsing logic catch this exception, acts on it and then throws it again, you normally get not 1 but 5 halts for every error discovered (it halts on throw). 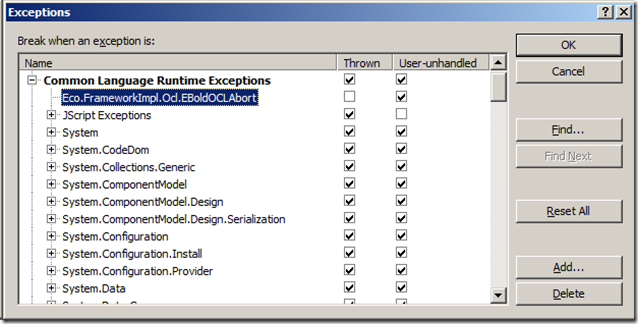 I have started to mask away these messages by adding the exception to the visual studio exception dialog like this.